The Trump administration is looking to undermine the fundamental mission of the National Labor Relations Board, according to several employee and outside groups, who are objecting to cuts and a proposed reorganization of the agency. 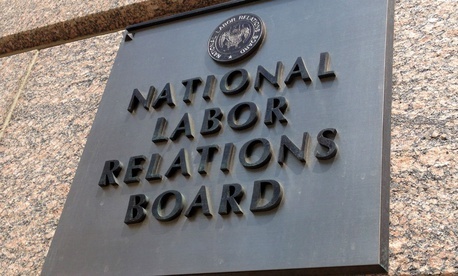 Proposals from NLRB officials appointed by President Trump would seek to centralize functions currently performed by regional employees in the field and reduce their investigatory authorities as they seek to resolve cases involving workforce representation and unfair labor practices. The agency is also seeking to dramatically slash its budget and workforce, and has implemented a hiring freeze and other cuts despite uncertainty as to whether Congress will go along with the reductions. The multi-pronged efforts have demoralized employees, their advocates recently told leadership, and justifications of boosting efficiency could belie the true intention of crippling the agency. The American Bar Association’s NLRA advisory committee said in its own letter that cutting costs did not sufficiently justify the changes the board’s leadership has proposed. “We understand that efficiency and/or budgetary issues are the stated rationale for the proposal, but these concerns do not come close to justifying such drastic and harmful actions,” the committee said. Robb previously sent a series of 59 suggestions to various employee groups and stakeholders. They included centralizing regional functions such as legal research, docketing and the writing of representational cases. Such changes would actually add bureaucratic levels, several groups said, and lead to less informed decision making. The regional directors said those decisions were made in the field “for good reason,” as they are “best situated” to make them. A separate group of assistant regional directors said regional offices could not function without their own administrative staffs. The NLRB Union said in its own letter that the “chaotic, confusing and underdeveloped” proposals had deeply affected the agency’s workforce. The employee groups also complained about a proposal to limit the use of investigative subpoenas to only exceptional cases.